Hot dogs, nachos, popcorn and other such foods are common at the ballpark. But they aren't the most healthy food choices you can make. Until now you didn't have a lot of options if you wanted healthier snacks while watching the Cleveland Indians. 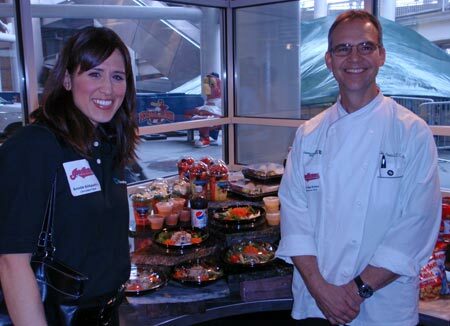 In 2009, you will be able to choose healthy, and delicious, food items at Progressive Field. The 2009 season marks the launch of Go! Foods menu items at the ballpark. Go! Foods is a program started by the Cleveland Clinic Wellness Institute to help people identify foods that meet certain key health criteria. Go! Foods items will be available at a new concession stand located near Gate A in Section 162, as well as in the suites, club lounge and Terrace Club. 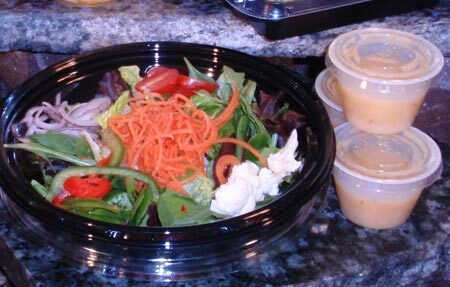 Menu items will vary by location and will include a mix of hot and cold side dishes, main courses and desserts. Examples include baked sweet potato "fries," guacamole with whole grain chips, vegetable chili, Waldorf salad, salmon sliders, grilled chicken breasts, chocolate bars and frozen banana chips dipped in dark chocolate. Cleveland Clinic and the Cleveland Indians have a long history of teaming up on wellness activities for families and fans. Cleveland Clinic Chief Wellness Officer Michael Roizen, M.D., an avid sports fan himself, is excited that fans will have more healthy food options at the ballpark. He sees GO! Foods as a way to have a positive impact on the food choices of families, and at the same time, teach people that eating healthy can be delicious and fun. "When you eat healthy foods, you're providing your body with the fuel you need to thrive and succeed, and there's no better example of this fact than looking at the accomplishments of our professional athletes in Cleveland," he said. "By choosing healthier foods and leading active lives, Indians fans will be able to enjoy many more successful seasons to come." Indians Vice President of Public Relations, Bob DiBiasio states the Indians organization is "very proud to announce the continued partnership with the Cleveland Clinic by adopting the GO! Foods program at Progressive Field. The affordable nutritional items offered in the GO! Foods concession area, Suites, Terrace Club and Club Lounge will allow fans another opportunity to enjoy their ballpark experience while being health conscious." 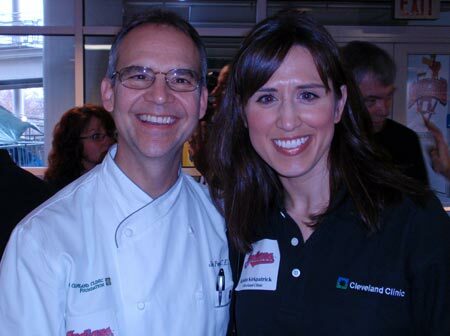 In this podcast you will hear Cleveland Clinic Executive Chef Jim Perko explain some of the new healthy food options. 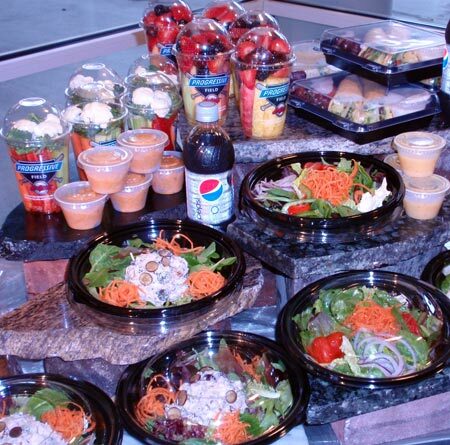 So grab some Chicken Salad Veronique and a container of Crudit�s and Go Tribe!